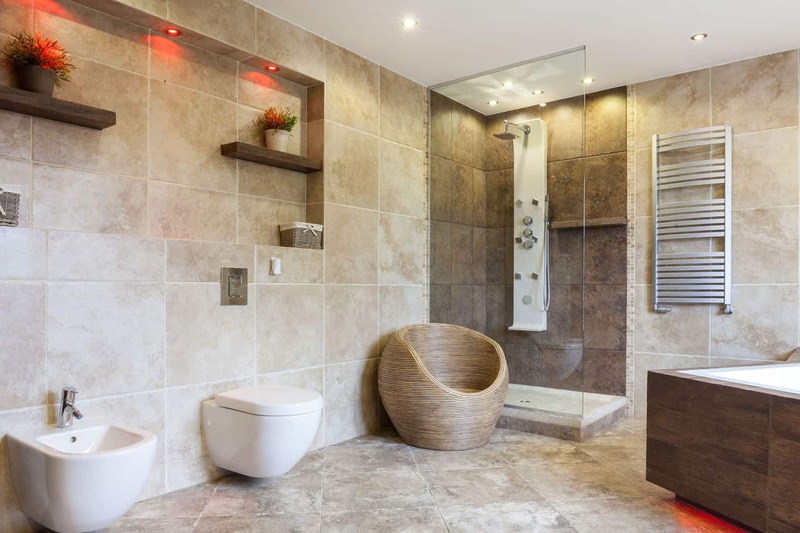 Tile is a pretty common flooring choice for bathrooms because it's usually made with an inorganic substance that's resistant to ambient moisture. When we take a long, hot shower or the sink springs a leak, we know the tile won't be damaged by it. 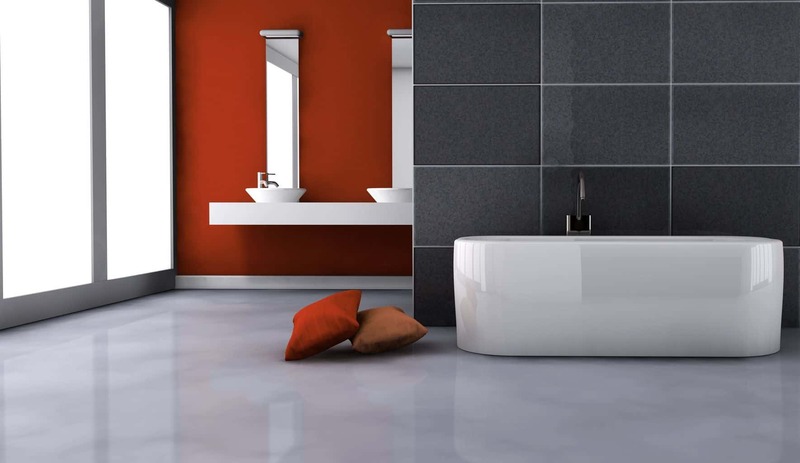 A porcelain tile bathroom can continue looking good for a long time, but is it for you? Here's what you need to know about porcelain tile before you make a final choice. Related: Check out our article on the best types of tile flooring! During the manufacturing process, porcelain is fired at a higher heat than most ceramics. It's really designed for flooring applications in buildings that get a lot of foot traffic, like major international airports. Don't let this be a turnoff if durability is a major factor in the choices you're making in your residential bathroom application, though. 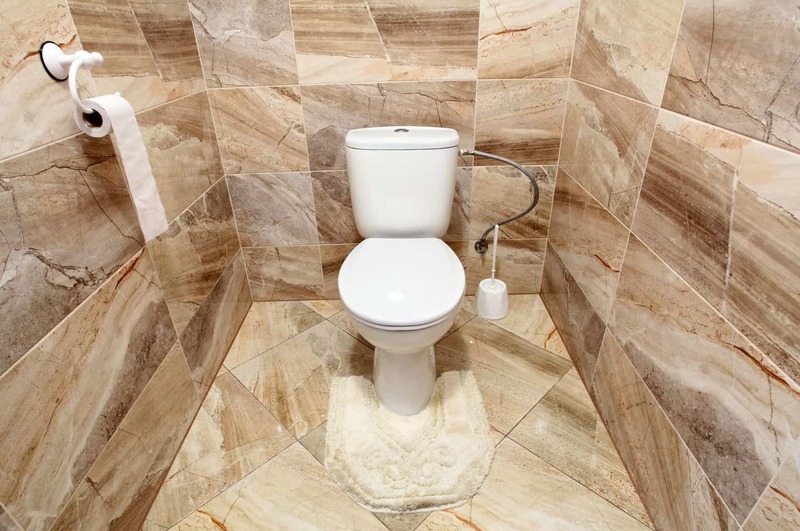 If your bathroom floor really takes a lot of abuse, high quality porcelain is a good choice. Maybe you're one of those people who never wants your floor to be boring regardless of where it is. The good part about choosing your porcelain tile style is that it doesn't matter whether you want your bathroom floor to be modern chic, rustic, or psychedelic. You can usually find porcelain tile styles to match or mix it up to create your own style. 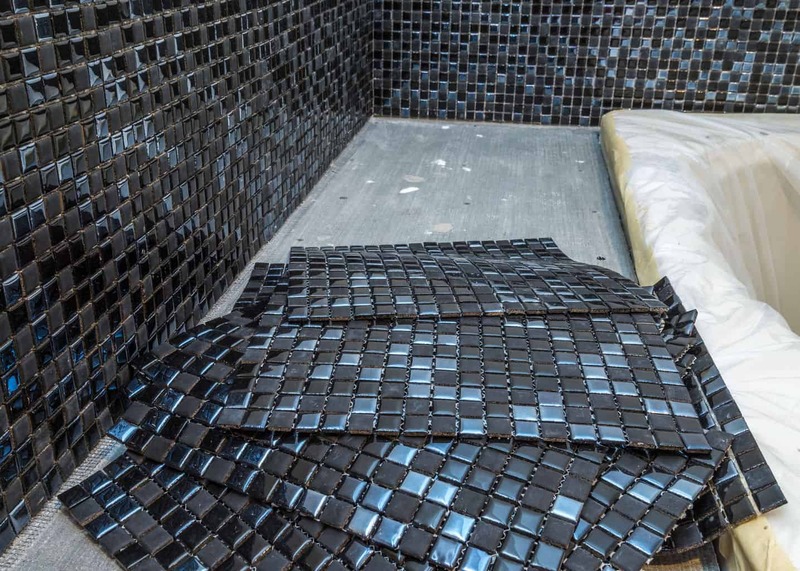 If you want your bathroom floor to be unique, be sure to make sketches so that the professional who installs it has an idea of what you have in mind. Porcelain has what they call a low porosity, which means that the firing process used to create porcelain gives it a high density and low pore count. This means that less water can seep into porcelain and linger in a way that might contribute to mold, mildew and bacterial growths in your bathroom. 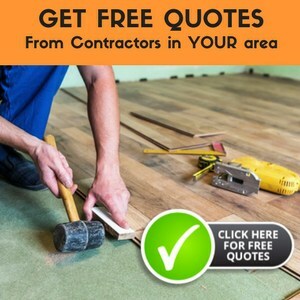 You can buy most porcelain tile flooring materials for $3-7 per square foot. If you find it for less, feel free to ask questions about it because it might be better suited for a bathroom wall or backsplash. The density and porosity of porcelain means that dirt, grime and liquids are less likely to seep into the tile. Most messes can be gotten rid of with just a vacuum and a mop. If it shows signs of staining, you should have the material underneath inspected because this may be a sign of a serious mold or mildew growth. You could try installing it yourself, but one common mistake that DIY enthusiasts make is using the wrong kind of setting compound. The downside of porcelain's low porosity is that it requires a specific type of setting material, so make sure you ask the manufacturer for recommendations or let the professional handle it. Porcelain is actually more predictable than most types of ceramics, but if you look closely at what you purchased, you may notice that it doesn't completely match the samples you saw. When dealing with any type of ceramic, it's important to remember that one manufacturing run is rarely 100% identical to another. This is one of the major weaknesses of installing tile flooring of any type in your bathroom. It may be slippery and might cause you to slip and fall if you don't watch your step. If you have members of your household who aren't very steady on their feet, make sure you have options available that will give them some traction. A salesperson probably won't know much about porcelain beyond the fact that it's a type of ceramic flooring that's popular for its durability. 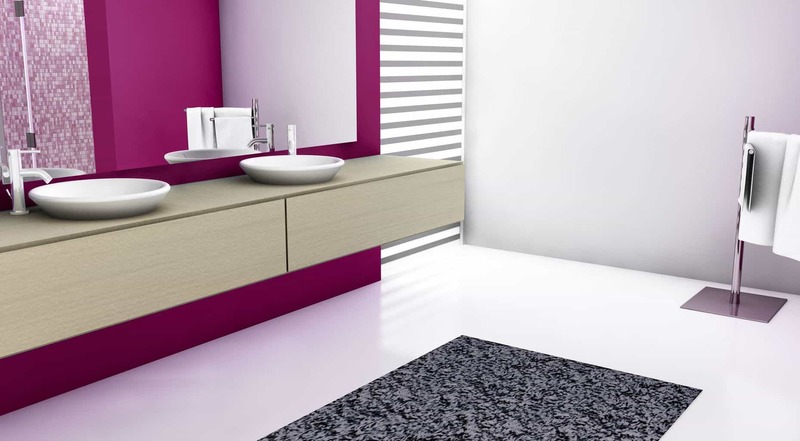 However, you can usually find information about the manufacturer, which employs experts that can usually answer questions and help you make the best choice for your bathroom floor. Porcelain tile is popular for its durability, good looks and ability to resist water damage in high moisture environments like your bathroom. It also does well in high traffic areas of your home because it's designed to handle a lot of foot traffic and heavy wheeled luggage being towed along on the floor. On the flip side, it is easy to make mistakes when installing porcelain tile, so there's no shame in hiring a professional to handle the job. Once it's installed, porcelain will pay for itself by being a durable, attractive and easy to maintain flooring.